You’ll be right bonny snuggled up this winter under this lovely Blackwatch Throw. 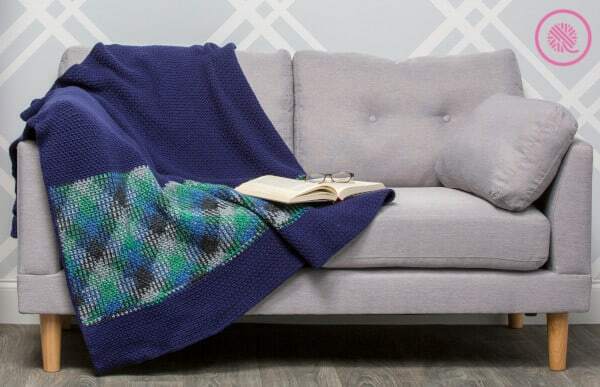 This easy planned pooling afghan pattern from Premier Yarn has a striking plaid band on a background of navy blue that would put a smile on the face of any Highlander. Once you’ve learned the basics of planned color pooling I think this throw is a great next step. The navy, green, black and gray colors create one of the most iconic plaids, Blackwatch. The wide plaid panel catches your eye and absolutely pops next the navy on either side. And in case you were wondering , the navy blue in the Navy Green Plaid colorway is a perfect match for Premier’s Everyday Soft Worsted Navy. 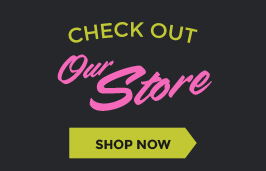 Thanks to Premier Yarn for sponsoring this post and sharing their yarn and pattern with us. Now it’s time to get your PLAID on! 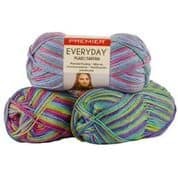 Use my exclusive coupon code: KMPLD10% for 10% your purchase of Everyday Plaid from Premier Yarn through 9/30/18. Working evenly and consistently throughout project is more important than an exact gauge. Special video for left-handed crocheters! 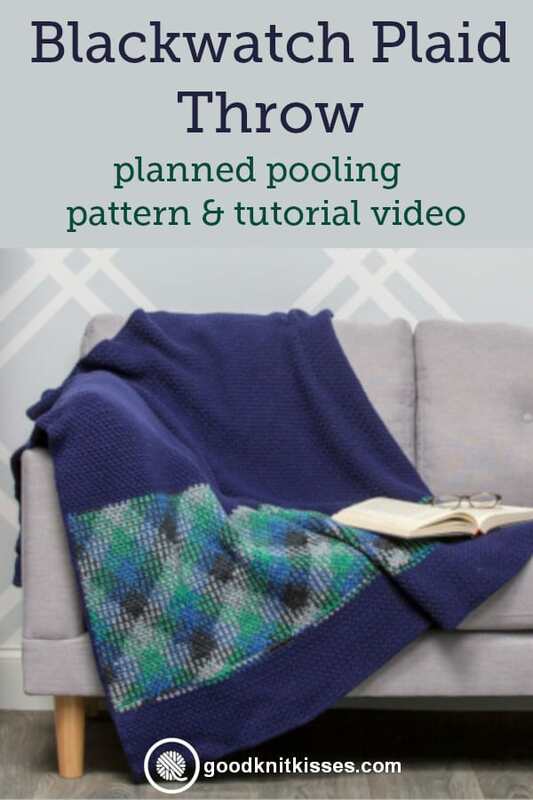 I hope this pattern inspires you to try planned pooling! 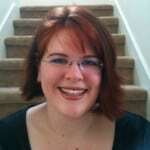 I know that once I got into the project I loved seeing the plaid work out row by row. 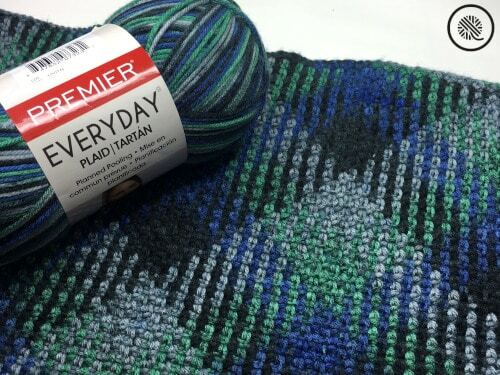 Please share your Everyday Plaid projects and tag me with #goodknitkisses so I can see your gorgeous plaids! I have been working with Everyday plaid tartan in the black/grey/red I have spent countless hours on trying to make the buffalo throw. I have followed the instructions and have also watched your video on the Blackwatch Throw and followed ir to the T and it will not work. My yarn has 4 colors except one of the colors is only 1 stitch. Can you please try using that yarn in particular to see if it works? Thanks in advance for your assistance.